Regardless of an attorney's accumulated skill, experience, or efficiency, it's always an easy task to stay on top of all the work that comes through your door. When an attorney is working on multiple cases, it's often more difficult to find the time to fish for case-making facts as thoroughly as one would hope. There are ways you can outsource some of that time and expertise, though, allowing you to take on a wider variety of cases. A private investigator can serve a crucial role in a criminal defense investigation, as they work to find witnesses and evidence that will establish reasonable doubt-- that will show the jury that there is reason to believe that the defendant is not actually responsible for committing the crime. If you’re an attorney with a hectic work schedule, and you’ve never contemplated hiring a private investigator, here are a few major benefits to consider. Private investigators are full trained to take the time to understand the charges and laws associated with a specific crime when an attorney uses a private investigator in a criminal defense investigation. Once the private investigator develops a concrete understanding of the case in question, he or she will go over all of the materials that the defense team has received from the prosecutor. Throughout the criminal defense investigation, the private investigator will scour routine police reports, copies of evidence, photographs, phone messages and witness statements related to the case, with the ultimate goal being to determine whether or not there are any inconsistencies from one witness to the next. Additionally, a private investigator may re-visit or recreate the crime scene to see if there was any details that may have been overlooked. He or she may also decide to interview witnesses to see if their stories have changed or to verify that they do not have anything else that motivated their statements against the defendant. If the private investigator unearths any inconsistencies or ulterior motives, they may be able to be used as a part of the client's defense. By the same merit, if the private investigator finds out that there are other witnesses who had not come forward, he or she can then look into these developments further. While attorneys are experts in legal practice, there are many times when expertise in other industries becomes quite useful. This is where professional investigators shine. Attorneys should leverage expertise, an investigative firm’s collected experience, to their benefit. Professional investigators frequently maintain close ties with industry specific experts or they maintain their own expertise in various areas. Regardless, there’s tremendous value in knowing a professional investigator, the information professional. A general defense team is naturally suited to argue legal points, however, there are instances in obscure cases when it’s necessary to gain insight from various disciplines that are unfamiliar. Ultimately, there are industry-specific issues in which most attorneys do not have any competency (this is not a criticism!). In these cases, why not hire a professional investigator knowledgeable in that field to bring one up to speed. By delegating work to experts in various fields, counsel makes his firm look savvy, connected, and thorough. A private investigator can ensure fairness, leveling the playing field and providing the defendant with a neutral and impartial investigator to seek and gather the facts so that they can be assessed when the defendant presents his or her defense. This ultimately highlights how important it is for a criminal defense attorney to hire a professional private investigator who knows how to conduct a thorough and professional criminal investigation. A professional private investigator understands the nuances involved with taking professional crime scene photos that will accurately depict the sequence of events so that the jury can explicitly understand exactly what happened. Crime scene photos must document and detail location, time, date, lighting, surroundings and many more details to address the who, what, where, when and why of the case. 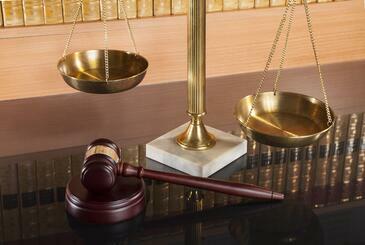 Obtaining and preserving evidence is essential to any criminal defense case. The investigator must understand related laws, the proper way to gather evidence and maintain the chain of custody for possible court proceeding. Many good criminal cases have been lost because of tainted evidence. While many of us want to see the good in people, the world does have it's fair share of dishonest and fraudulent people. We recognize that there are situations that call for professional guidance and assistance when individuals and companies are concerned about the truth.